*Please note, we cannot guarantee all varieties will be included in each individual packet. Plant Class: Hardy Annual (HA). Treats up to 16 nests or 16m2 in soil or lawns. 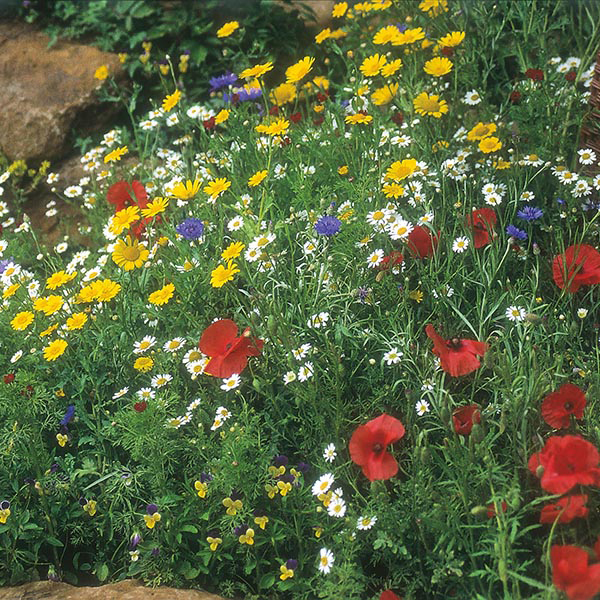 Sow outdoors, March-May, where they are to flower, 0.5cm (¼”) deep, directly into finely-prepared, well-drained soil, which has already been watered. Seedlings usually appear in 14-28 days. Thin seedlings as necessary to allow development. Water well until plants are established. For a continuous display, make sowings at two to three-week intervals. Sowings made in curves, rather than straight lines, often create a more pleasing effect. Late summer and autumn sowings will flower the following year, often earlier than spring sowings. Flowers: May to September. Native Habitat: Mainly seen growing wild in cornfields, verges and on wastelands. Ideal in annual borders and 'wild' garden areas.